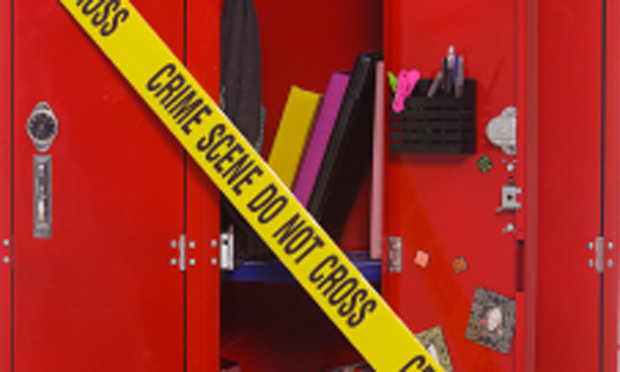 Many schools have implemented strategies to eliminate or mitigate the damage and loss of life in possible future attacks; these range from improving mental health care and implementing violence prevention curriculum to enhanced security and communication protocols. Preparation levels vary by setting, according to 2009-10 National Center for Education Statistics data: 58% of suburban schools perform safety drills according to a specified plan, compared with 49% of urban schools and 48% of rural schools. As researchers have noted, media outlets have sometimes overreacted to school shootings, bringing about what some scholars have called the construction of “moral panic” — an inflated sense of alarm over a perceived threatening trend. But it is unclear if school shootings can be sufficiently distinguished and defined from other violence in America. Hype and exaggeration may distract from formulating effective school policies, some commentators believe, even as horrifying incidents such as the school shootings in Littleton, Colo. and Newtown, Conn., trigger a national conversation about “cultures” of school violence. It is worth noting, too, that more mundane (and routine) forms of physical violence plague some schools, and non-gun related violence — such as the mass stabbings at Franklin Regional High School in Murrysville, Penn. — remains a significant issue. Below are studies and articles that bring a research perspective to these issues. For more information, see other research reviews on rampage violence, firearms-related violence, global comparisons of firearms and homicides and the relationship between violence and psychotic behavior. Additional useful resources include the Poynter Institute’s primer on what journalists should know about school shootings and guns, as well as the FBI’s list of resources on school violence. Lisa H. Jaycox; Bradley D. Stein; Marleen Wong. Child and Adolescent Psychiatric Clinics of North America, Volume 23, Issue 2, April 2014, Pages 281–293. doi: dx.doi.org/10.1016/j.chc.2013.12.005. Katie James; Jackson Bunch; Jody Clay-Warner. Youth Violence and Juvenile Justice, February 2014, doi: 10.1177/1541204014521251. “Report to the President on Issues Raised by the Virginia Tech Tragedy”Leavitt, Michael O. U.S. Department of Justice. June 2007, Publication No. NCJ 218828. Newman, Katherine; Fox, Cybelle. American Behavioral Scientist, May 2009, Vol. 52, No. 9, 1286-1308. doi: 10.1177/0002764209332546. Federal Bureau of Investigation, November 2007. Addington, Lynn A. American Behavioral Scientist, June 2009, Vol. 52, No. 2, 1426-1446. doi: 10.1177/0002764209332556. Langman, Peter. Aggression and Violent Behavior, January-February 2009, Vol. 14, No. 1, 79-86. doi: http://dx.doi.org.ezp-prod1.hul.harvard.edu/10.1016/j.avb.2008.10.003. Wike, Traci L.; Fraser, Mark W. Aggression and Violent Behavior, May-June 2009, Vol. 14, No. 3, 162-169. doi: 10.1016/j.avb.2009.01.005. Fox, James Alan; Savage, Jenna. American Behavioral Scientist, June 2009, Vol. 52, No. 10, 1465-1485. doi:10.1177/0002764209332558. Bonnie, Richard J.; Reinhard, James S.; Hamilton, Phillip; McGarvey, Elizabeth L. Health Affairs, May/June 2009, Vol. 28, No. 3, 793-804. doi: 10.1377/hlthaff.28.3.793. Levin, Jack; Madfis, Eric. American Behavioral Scientist, May 2009, Vol. 52, No. 9, 1227-1245. doi: 10.1177/0002764209332543. Kaminski, Robert J. Journal of Criminal Justice, January-February 2010, Vol. 38, No. 1, 88-98. doi: 10.1016/j.jcrimjus.2009.11.011. Hemenway, David, et al. Journal of Adolescence, October 2011, 34(5), 997-1003. doi: 10.1016/j.adolescence.2010.11.008. Kleck, Gary. American Behavioral Scientist, June 2009, Vol. 52, No. 10, 1447-1464. doi:10.1177/0002764209332557. Flynn, Christopher; Heitzmann, Dennis. The Counseling Psychologist, May 2008, Vol. 36, No. 3, 479-489. doi:10.1177/0011000008314787.